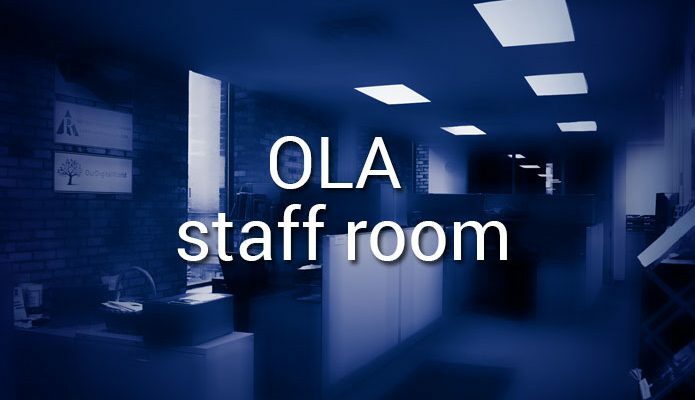 Welcome to The OLA Staff Room, a column that showcases the Ontario Library Association (OLA) staff members who help you with your membership and program inquiries. 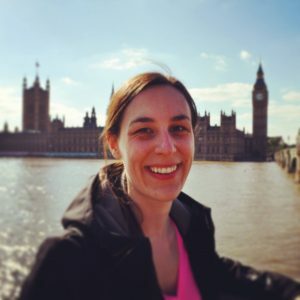 Meet Lauren Hummel, the Event Marketing and Communications Coordinator for OLA. Lauren’s role currently focuses on the Forest of Reading® and Festival of Trees™, and includes design, social media, event promotion, email marketing, and a variety of other tasks. I worked as a graphic designer for an insurance broker that specialized in group insurance and student insurance. It was definitely a big shift for me professionally coming from the corporate world into the not-for-profit world. But one thing that stayed constant was the focus on members (or clients) and addressing their needs and requests. 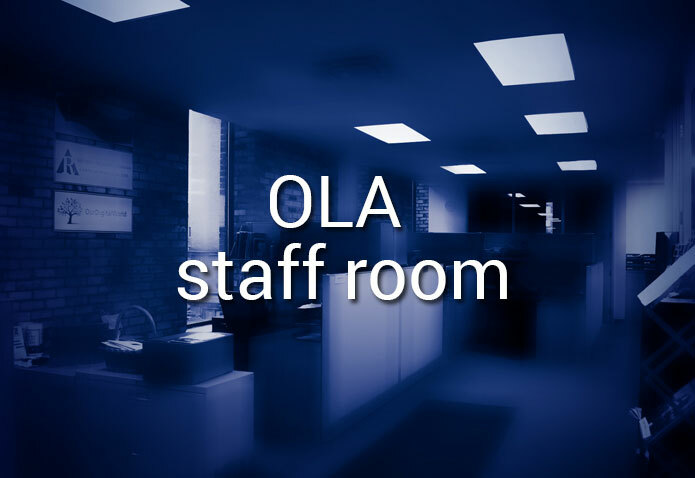 At the end of the day, everything we do at the OLA is for our members. As we are a small group of staff, I enjoy the collaboration between all of us. Each of us has a specific set of skills and responsibilities, but when it comes down to it, we are all here to help one another and to make the association stronger and better for our members. The Forest of Reading. As you’ll see from my answer below, I love books. However, the Forest of Reading isn’t just about books (as is the case with libraries!) It’s about engaging readers into meaningful discussions and activities, and developing a lifelong love of reading. Reading is such an incredible thing to do, especially on a daily basis. It increases your health (by cutting down your stress), vocabulary, empathy, critical thinking and so many other good things. As everyone in the OLA office knows, I am a huge book nerd. I read more than 100 books a year so asking me to pick just one favourite book is difficult! I would say my all-time favourite book is Into Thin Air by Jon Krakauer. This book tells the story of the 1996 disaster on Mount Everest when eight people were caught in a blizzard and died during summit attempts. I have read this book more times than I can remember. Unfortunately, this is not the deadliest year on Mount Everest: eighteen people died from the recent avalanches in Nepal in May. What is your favourite OLA event? The Festival of Trees. This year was our biggest yet, and I’m excited to see it get bigger and bigger. It always puts a smile on my face to see how excited and loud the kids get when the winners of the award programs are announced. They scream so loud that it is almost deafening. As much as people say that kids today aren’t reading as much as they should or that books are going out of style with all the technology we have, I would challenge them to come to the Festival and see for themselves that kids are actually crazy for books. I have a long list of places I am dying to visit, but there are three places that are on the top of my list. I would love to see Reykjavik, Iceland, because it is one of only seven cities in the world that is an UNESCO City of Literature and it has some of the most stunning landscapes in the world. I also would love to visit Amsterdam, Netherlands and Florence, Italy, both for their architecture, art, museums, food, and history.